“Strength grows in the moments when you think you can’t go on but you keep going anyways.” This quote was on my heart this week, no matter what trials or hardships are lying ahead of you today remember you are stronger. You can’t give up, you were made to keep going and I know you can! “You can do all things through Christ who strengthens you” Phil 4:13 tells us that. I just wanted to remind y’all of that tonight! It can be styled a few different ways but here is how I styled it this week! I want to personally thank Rikki of The Frosted Cowgirls Boutique again for collaborating this week! I think it was a match made in Fashion Heaven! If you are up in Gillette at the High School Finals this week be sure to find them and shop and tell Ricki hi please! You won’t regret stopping by I promise! You might walk out with a sack full of goodies, for those of us not up in Wyoming, Happy Online Shopping! Happy Thursday Y’all! When you sit down to write a piece on a woman who is strong, brave and a huge inspiration it takes time. I have worked on this piece for a while now just trying to perfect it but I then realized I just needed to let it flow and tell y’all from my perspective what and how truly amazing today’s featured lady is. I have wanted to start this year’s interview series called “She is strong” to highlight inspiring women we look up to and help tell their story. Each interview maybe a little different because no 2 people are alike and so neither should their story/ interview. The point of these pieces is to help encourage and inspire you the reader. I want each of you to know that no matter the struggles and the hard times if you stay true to who you are, go for your dreams and truly you can and will accomplish so much and more than you could ever imagine. So with that I want to introduce you to my first Strong Woman! Jenny of J. Forks Designs. We have all seen, maybe even oooooed and awwwwwed over her pieces. Some of us may even own some, my list is ever growing! 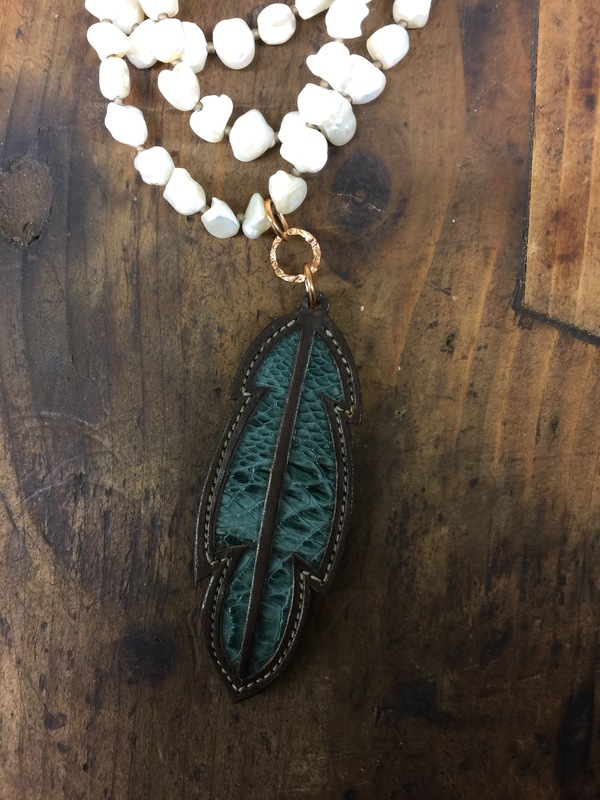 Each piece is handcrafted in her studio in Pipe Creek, Tx with so much heart and soul. Jenny has been designing for quite some time; and when I asked her about how she got started, she said she was looking for something she could do to support herself and family. Just being out of high school, she went to her roots and heritage. 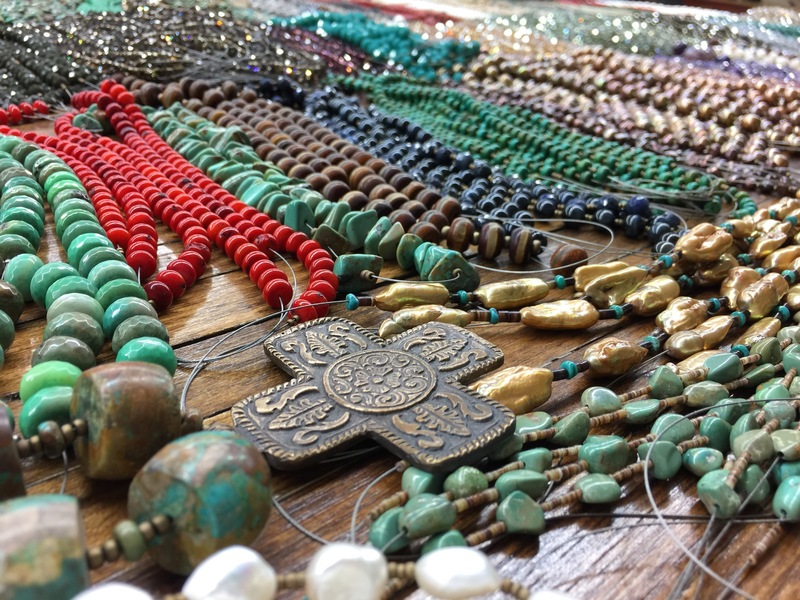 Something that she could remember her great grandmother doing, jewelry making. Like myself, Jenny is Cherokee Indian; but, she also has a dash of Comanche in her, too. She was born with the heart of a warrior and this woman has no quit in her. She has fire, passion and a family, and for this mother of 2 that is reason enough to push the limits of her dreams. If one door closed, she wouldn’t let it get her down. She would learn and grow from it, then she would find or make another door and keep on pursuing her dreams. I was actually so blessed to get to sit down and visit with Jenny a few months ago and when I drove away that night I felt empowered that I could do anything I set my mind too. I love when God puts people in your path to help inspire you and that night Jenny did just that for me. I asked Jenny about one of her tattoos I had been noticing while we were chatting, it was a lone feather on her right arm. She said, “…you see this feather it’s not perfect it’s tattered and it’s torn but it’s still put together. It’s like life, no matter the bumps and the bruises we get, we are always still put together.” Honestly, I sat in there and told my wow because it is so true. No matter what we go through it doesn’t define us, it just makes us grow. One of my favorite stories Jenny told me from when she was in high school was about a family she helped without even thinking twice. This family had moved to town for the father to take an internship during the fall/winter season. This job was a non-paying one, but after the internship was over there was the promise of a paying job. Well being as there was no income coming in for this family and it being near Thanksgiving time, Jenny took it upon herself to help them out. Kind of like that saying “see a need, fill a need,” Jenny saw this family in need so she decided she needed to help them out. Jenny was a high school senior at the time, she actually skipped school to try to figure out how she could help them. She had found out that this family was staying in a tent in a nearby area. With Jenny being the go-getter she is, she was able to help the family into an apartment rent free for a month or so; and when her mom and grandma found out why she wasn’t in school and what she was doing, they helped her fill the fridge and get money for the family. One of the reasons I chose this story was to show you this amazing woman’s heart. Plus, it impacted me in a major way. Jenny did not do this for the recognition, she didn’t even tell anyone. She simply did it because it was the right thing to do and she knew that was someone she could help. How many times do we as society get caught up in the recognition of things, and not just doing things because someone needs help and it’s just the right thing to do? You know it always comes back around to us; God has our backs and He sees what we do. See, now, you have seen the heart behind the brand. That same amazing heart is the same heart that puts all she has into her designs and every single piece that leaves her studio. Honestly, I could go on and on about Jenny. You see, when you admire and look up to someone with so much passion for life and fire for what they do, it is just contagious. It helps spur you on toward your goals and pushes you to live life to the fullest. I truly hope y’all enjoy getting to know the lady behind this amazing brand. Jenny truly is a phenomenal woman. She has always remembered where she has come from and uses that day in and day out all while trying to help others along the way. 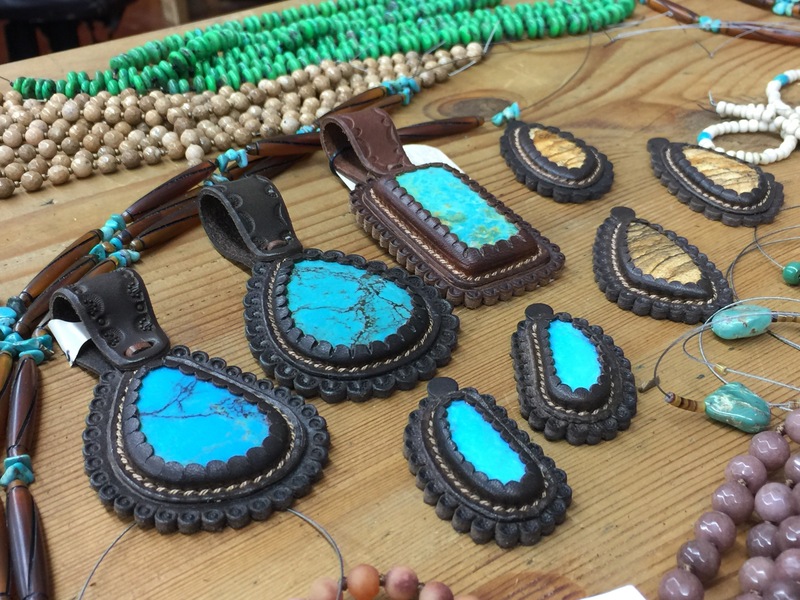 Jenny believes that everyone of any background or financial status should be able to own a piece of real turquoise. With that being said, you can go on her website and find pieces from $19 and up. 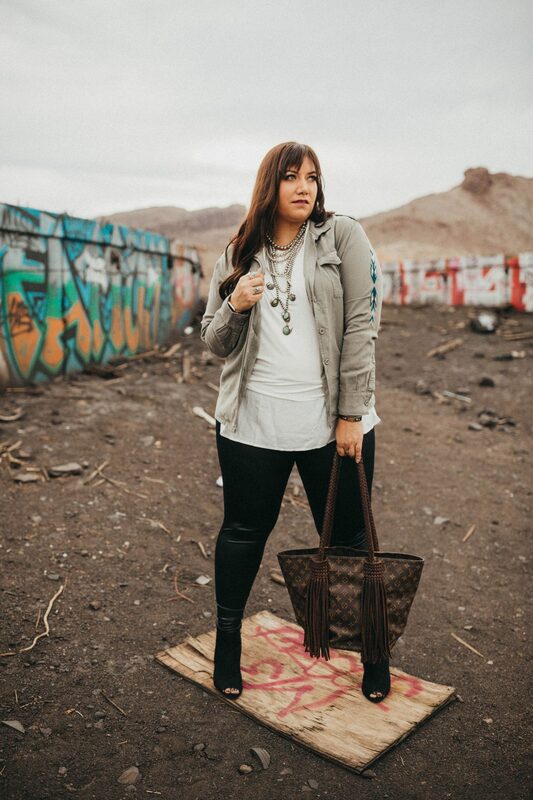 I also love scrolling through jaw dropping pages on the J. Forks website and seeing how Jenny’s Native American background comes through in her designs, as well as being very fashion forward and able to fit into any style or trend. You can see her pieces gracing the western world, but also on the streets of those amazing New York fashionistas. I know personally that Jenny still has some big, BIG dreams that I cannot wait see come to pass. You, my friends, are never too young or too old to pursue your dreams; you just have to be willing to take the leap of faith to try. Always remember that no matter how tattered and torn you may feel, you are still here, still breathing and still put together. Live life to the fullest and as Jenny says, “Dare to Be Bold.” You can follow Jenny on her Social Media pages linked below, also be sure to check out the tons of fab new arrivals hitting her website soon! Like her amazing new hats!!! Remember to live life to the fullest and live in Grace and oh so much Style! Thank you again Jenny so much for being apart of my She is Strong series and for sharing your stories and your life with me and my readers. Oh it was the love of Blush Pink and florals this week! I could not love these fun tops and cardigan from Rustic Wishes Boutique this week! First off each top was made really well as well as the each wore well. I wore all the outfits to work this week and I was super comfortable. As well as looking snazzier than usual at the Trucking Office. 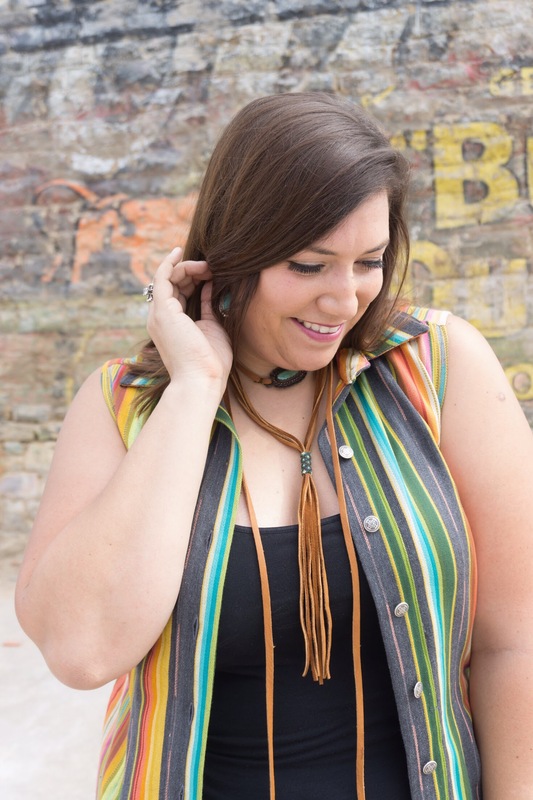 😉 One of the things I love about this great Texas online boutique is that Madison the owner has got some trendy pieces for every size as well as great prices too!!! Surely I can get a amen for a great prices, right?! Below you can shop my looks or just click the link below to start shopping! I am so grateful for such a fun collaboration with an amazing boutique! You can style these fun pieces multiple different ways! Find a style that fits you and your personality and rock what you got!!! Remember to live life with Grace and Style! This week as been so full of fun and inspirational tees thanks to Southern Mess Boutique! Southern Mess owner Barbara as a great line of tees and tanks that are really really soft! I have loved every shirt I wore this week so much! So if you are in the market for some originals tees and tanks that have a great fit! Search no further! You can shop each tee by clicking their link or clicking the link below to check out all the other fun pieces! These fun tees are just a few of what Southern Mess Boutique has to offer there so many more trust me I already have started my own wish list! Remember that tees are great and go with just about anything so don’t be afraid to pair a tee or tank with something other than jeans or shorts for a more fun dressed up look! Most of all you have to be you and be comfortable!! Also while at Southern Mess shop around Barbara has so much more to offer! I am completely grateful for this new friendship and to get to collaborate with you Barbara!! So get out there ya’ll and live with a lot of grace & style! Have a great weekend yall! **I am wearing an XL in all these tees.